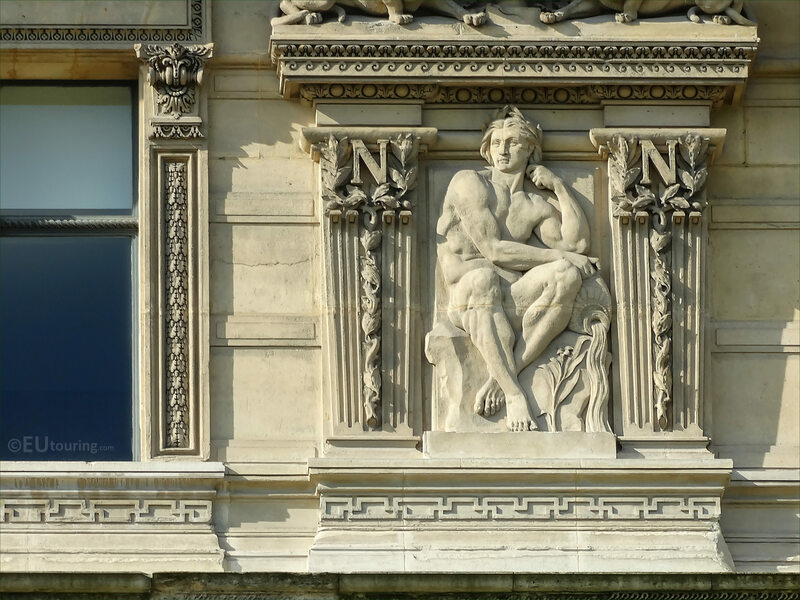 While we were in the 1st Arrondissement of Paris at the famous Musee du Louvre, we took these high definition photos showing a bas relief called Fleuves, which was sculpted by Eugene Delaplanche. This first HD photo shows a bas relief called Fleuves, which in English translates to Rivers, and this is one of the allegorical sculptures located on the wing of the former Palais du Louvre called the Aile de Flore, that was put in place in the 1860s. 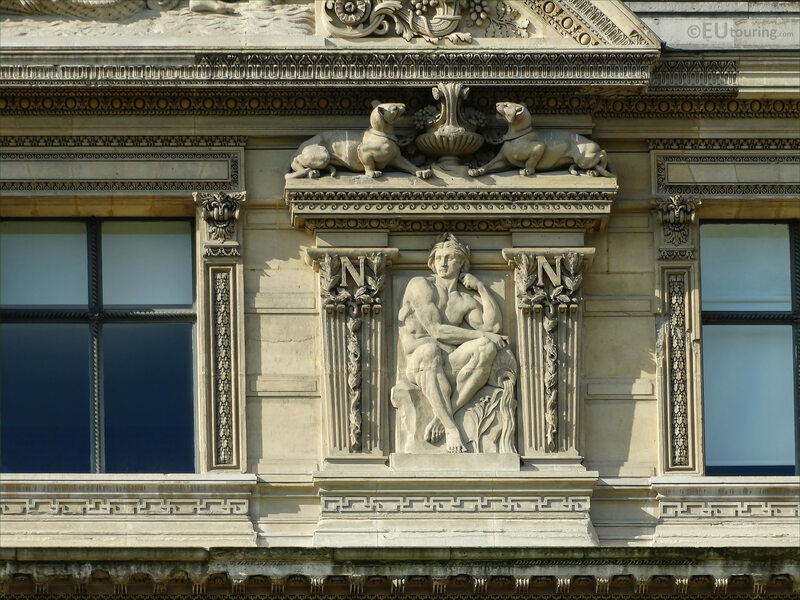 So if you wish to see this Fleuves bas relief and others on the ornate facade, you would need to be in the courtyard of The Louvre called the Cour du Carrousel, and you will find this positioned on the third level to the right hand side of the fifth decorated window below the pediment. 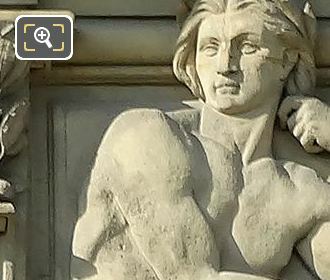 Now this shows a close up photo of the Rivers sculpture with a vessel for carrying water and water pouring out to the right hand side, which was produced by Eugene Deleplanche, who was born in 1836 and studied at the Ecole des Beaux Arts to become a French sculptor. Starting to present works at the Paris Salons, throughout his career Eugene Deleplanche received numerous different medals and awards for statues and sculptures that can now be seen at many tourist attractions and in different museums throughout France, including within the Musee d'Orsay in Paris, not forgetting this and the bas relief on the opposite side of the window for the decoration of the Louvre Museum.